As I’ve talked about in the past, my main passion as far as collecting comics are Silver Age titles. Specifically those containing art and stories by Steve Ditko and Jack Kirby. But sometimes I’ll land some Golden Age titles for my collection. Especially if the contents are of especially high quality of art and fiction. 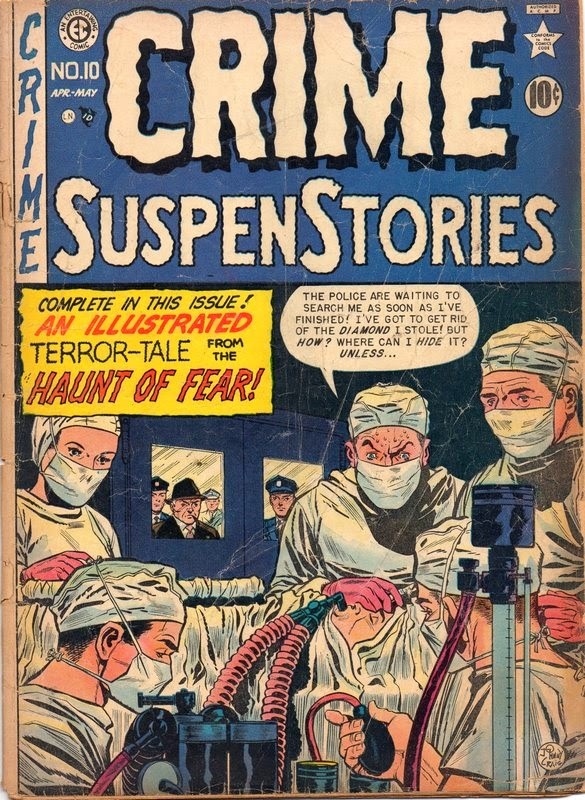 And the quality doesn’t get any higher than titles from the late EC Comics. At its head was William C. Gaines, whose mission it obviously must have been to publish the finest art in comics at that time. The names of the men and women he employed to work for him have become legend. So I look for EC books to add to my collection when I can find them at the right price. So it was this week. The latest old comics to arrive as Casa Smith. 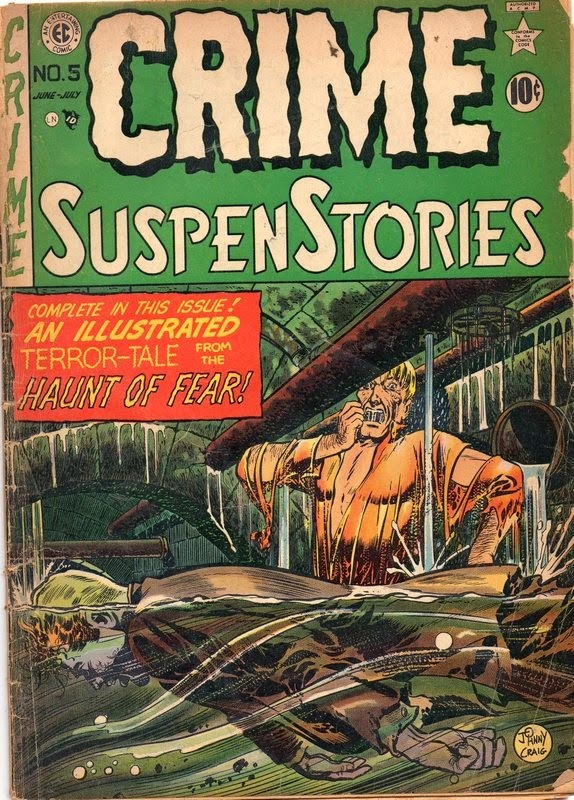 CRIME SUSPENSTORIES #2. Back in my youth, I had an extensive EC collection. But most of those were horror and science-fiction titles. I never had many copies of this title, and most of those were later issues. 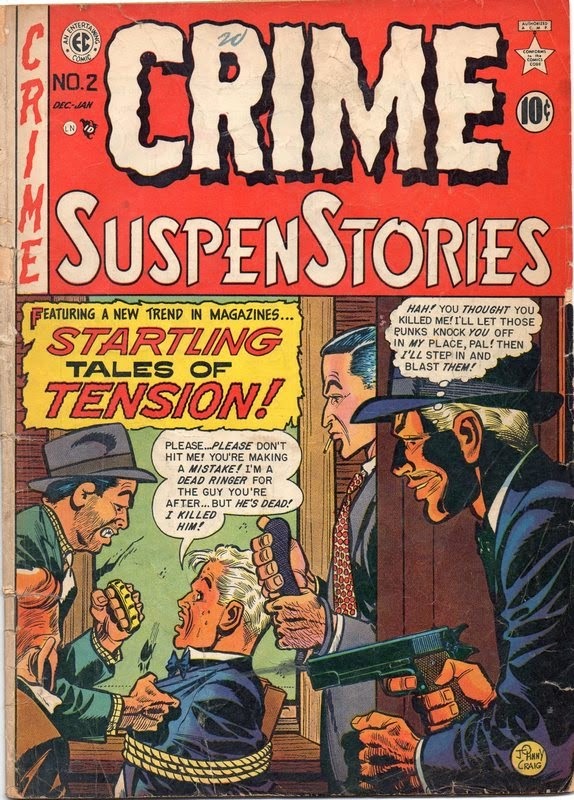 CRIME SUSPENSTORIES #5. A great, dramatic cover from Johnny Craig. Another image of high drama from Craig. When the Silver Age rolled around, he worked for a time at Marvel Comics, mainly as an inker. Even though Carole and I are not really railroad fans, we do like to take a peek into rail museums when we happen to see one on our travels. As we were spending some time in the village of Clifton Forge VA we noticed that they had a rail museum so we drove over to see what it was like. Since it looked like it was fairly impressive we decided to pay the $8 admission fee to take the tour. Carole joined some other folk to take the guided tour while I went off to explore on my own. The train cars are mostly open and you can just wander about them to see what rail travel was like back in the old days. Later that same day we drove over into West Virginia to take a look at a town we’d been through years ago: Marlinton. They have a much smaller museum in their downtown area. Both have cabooses to view. 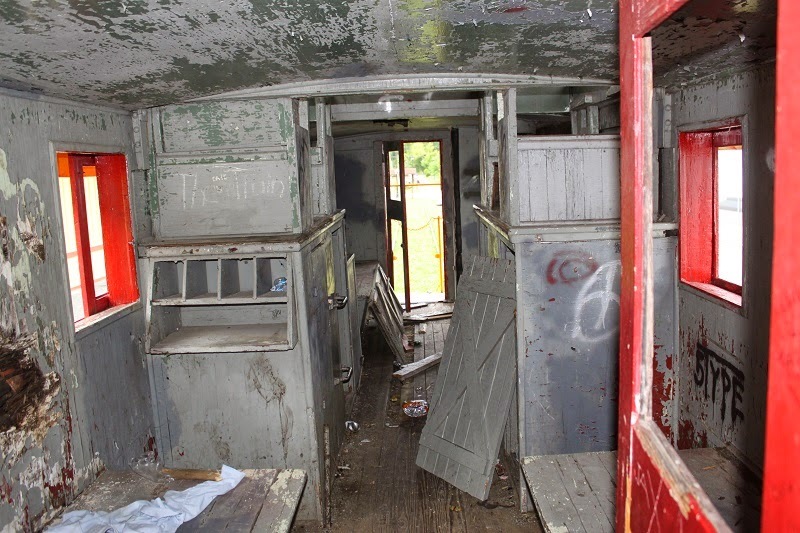 But the ones in Clifton Forge have been completely restored, while the single caboose in Marlinton has only had the outside repainted while the interior is rather decayed. I suspect they’re waiting for funds to fix it completely for viewing. Two completely restored cabooses in Clifton Forge, Virginia. 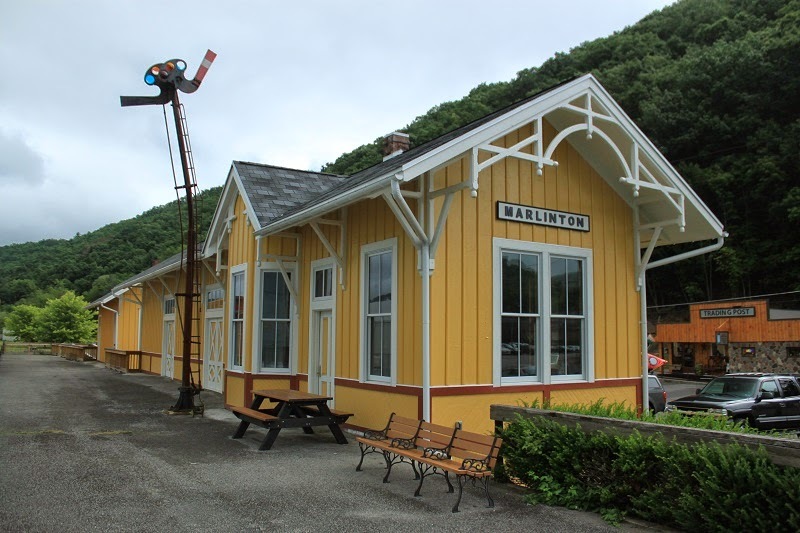 The little restored rail depot in Marlinton, WV. Very nice! 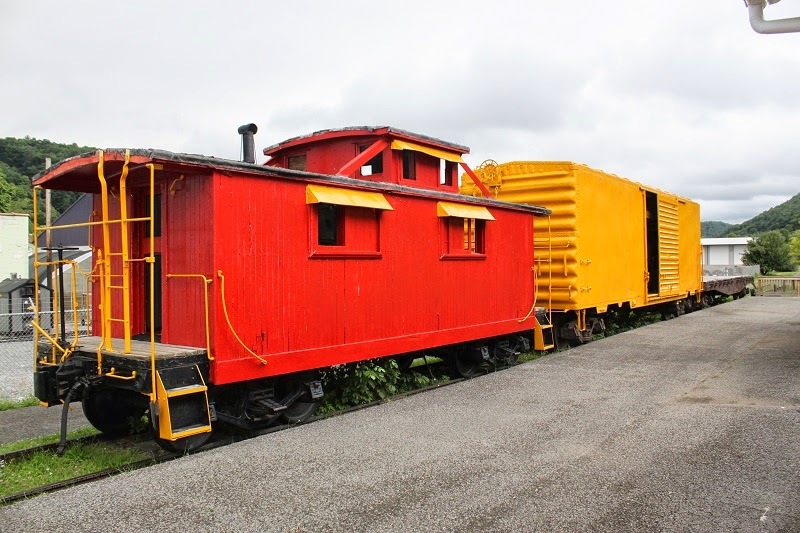 Caboose and two rail cars. Nicely restored on the outside. 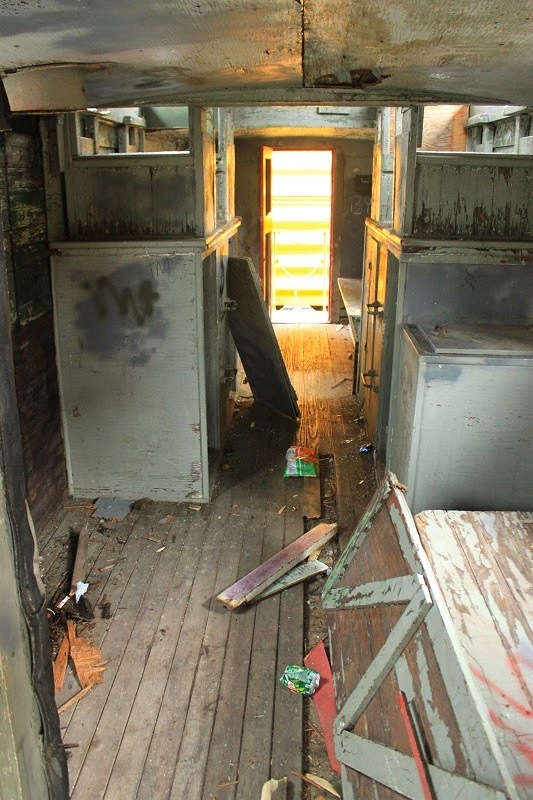 But the interior of the caboose is a wreck. It does look as if they may be starting interior restoration. It’s a nice car. 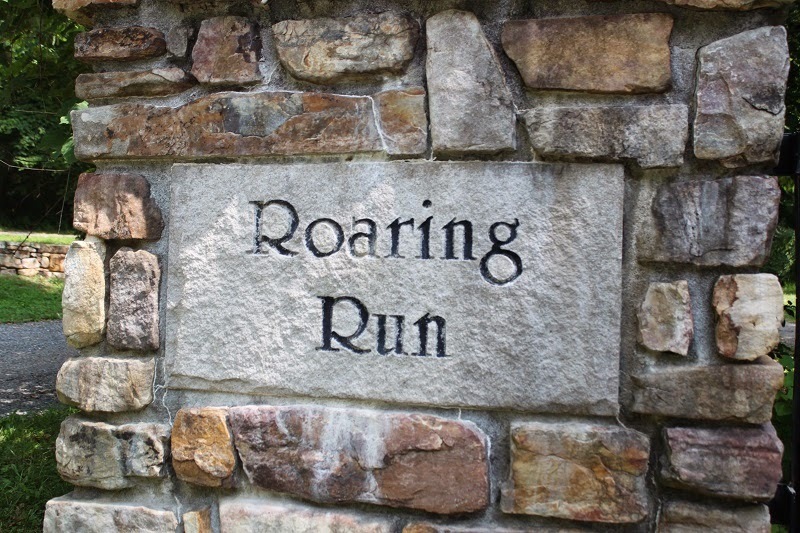 One of the places that we wanted to see on our vacation was a spot called Roaring Run. 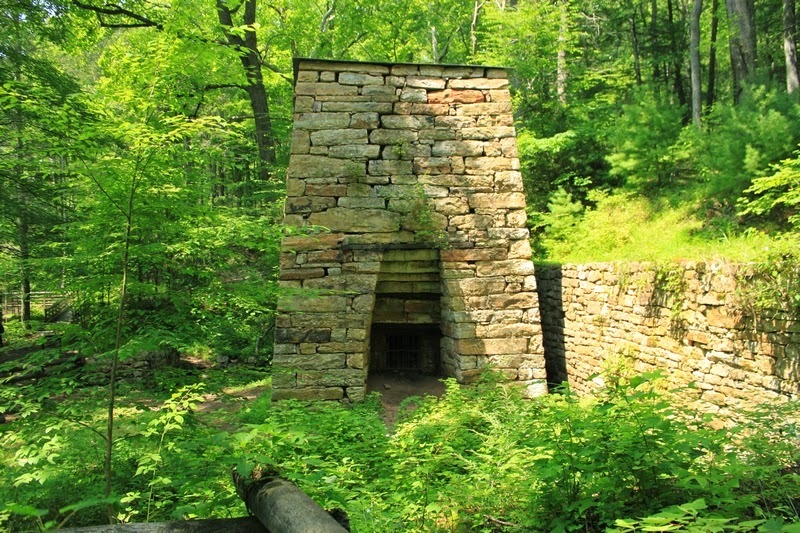 It’s the site of an old iron furnace and a small canyon packed cheek by jowl with waterfalls. It was just a relatively short drive from the campground and so we set aside a day to go explore the place. 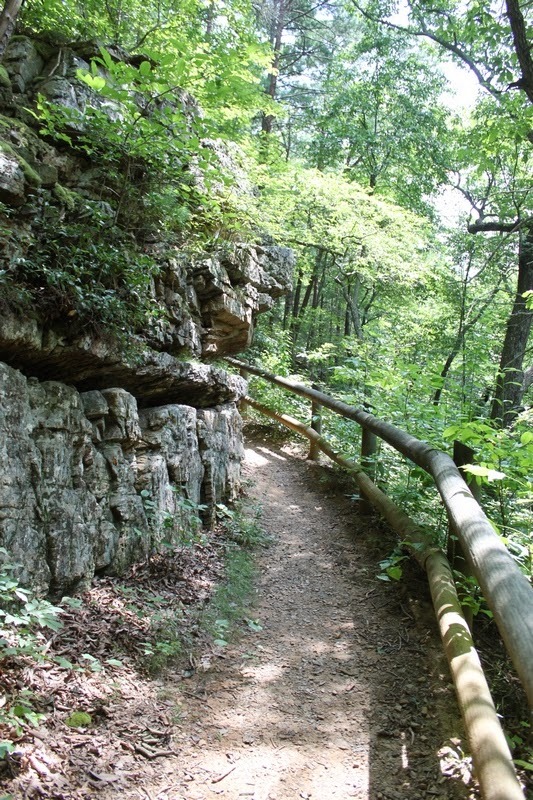 It’s a National Forest site and the trail system there is excellent. 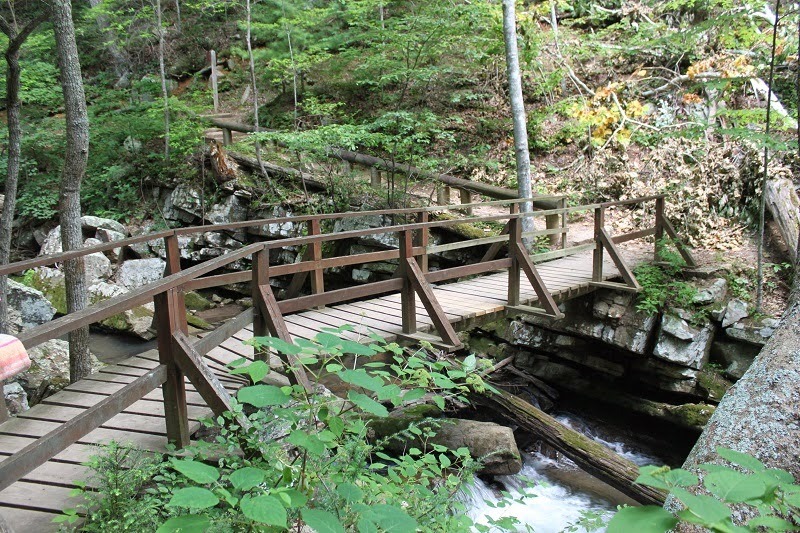 The hike up the gorge to the main waterfalls is extremely well maintained and engineered so just about anyone can make the journey. The little canyon is sometimes very narrow and almost every step of the journey is beside a waterfall or cascade or cataract of some kind. We also made use of the picnic area at the parking lot. It was nice to sit in the shade beside the rushing creek and enjoy a meal. Attention to detail in the infrastructure. We begin the hike! Poison ivy everywhere off trail! It was ALL OVER THE PLACE! 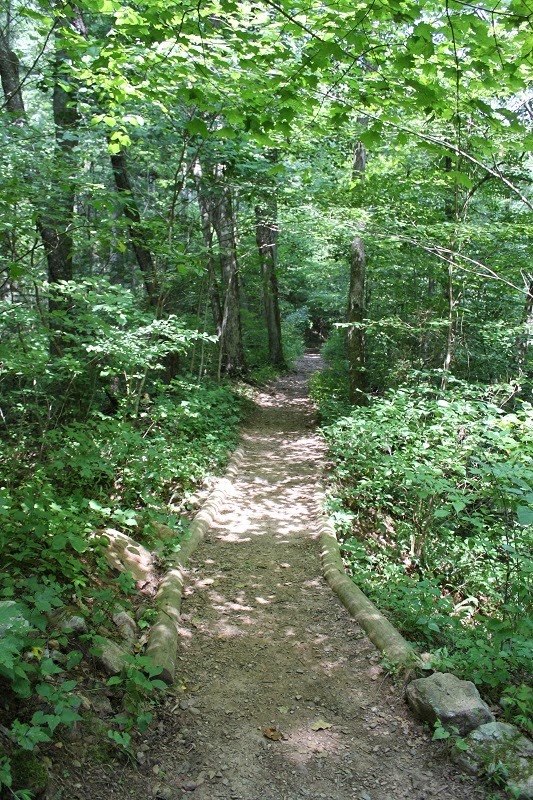 The trail was great! 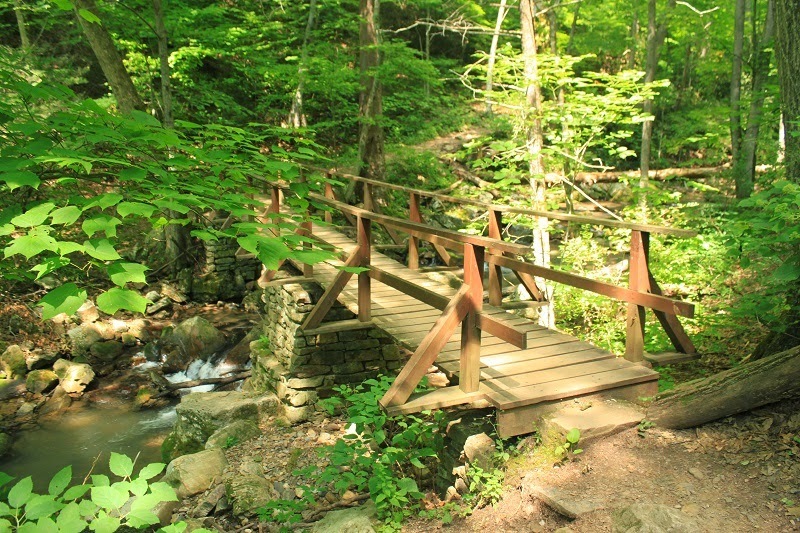 Plenty of bridges for stream crossings and an extremely mild grade. Pretty much anyone who can walk can hike to see all of the waterfalls. 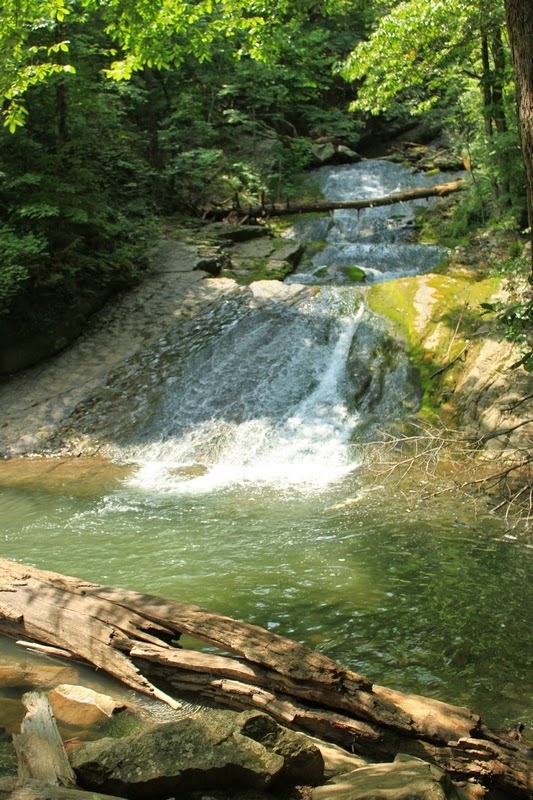 One of the first waterfalls. Just a reminder that you are in a gorge. Plenty of bridges and hand rails. 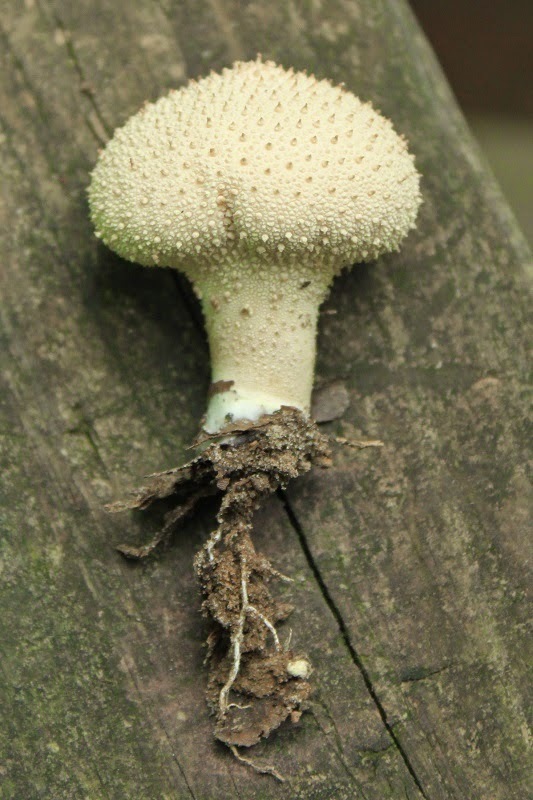 A vaguely naughty mushroom that Carole saw. On the way out there were kids using this waterfall as a slide. This is pretty much the nicest waterfall in the canyon. It’s also at the terminus of the trail. 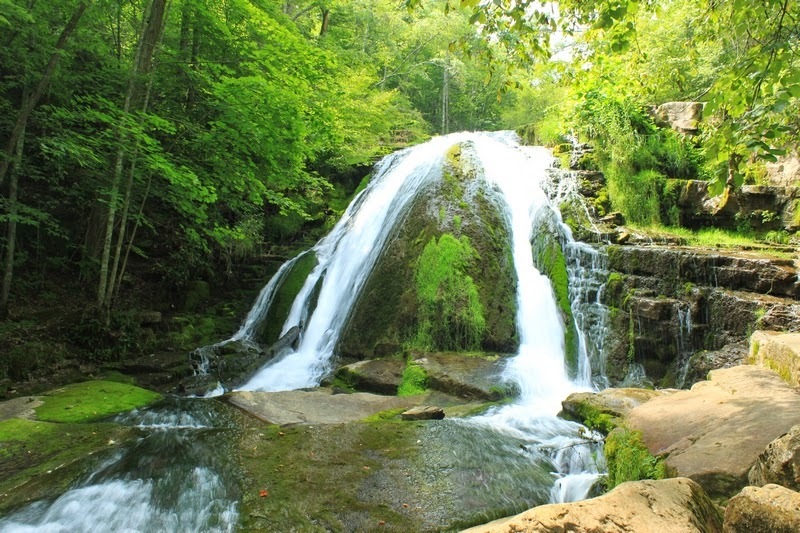 The nicest waterfall, at the end of the trail. 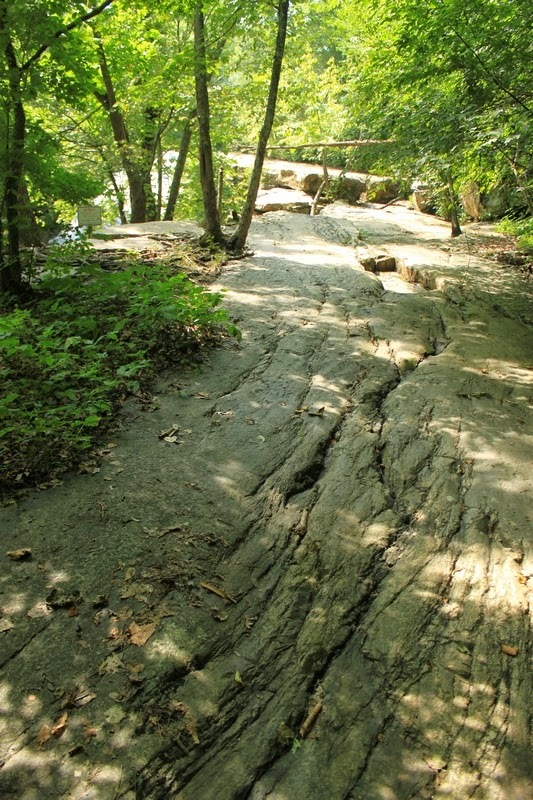 This huge stone ramp leads to the top of the waterfall. We decided to take a different trail back to the starting point. 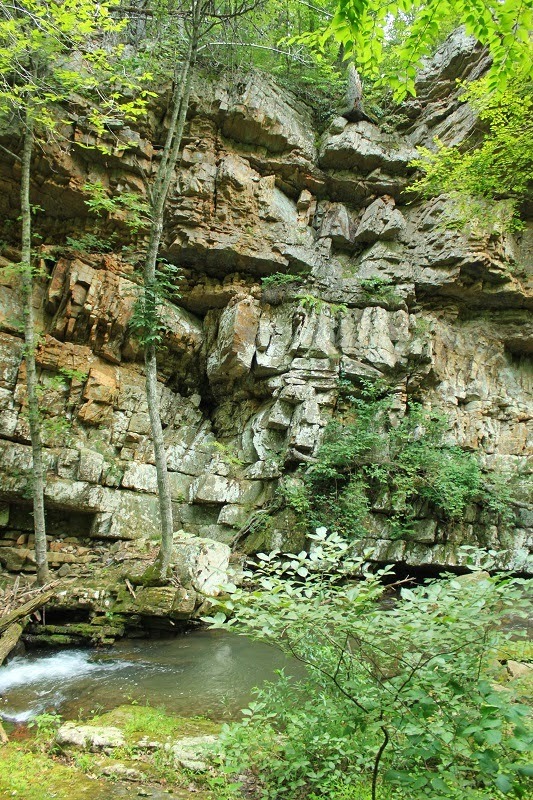 Instead of going back down the gorge, it climbs to the ridge and follows that. A nice view near the top of the ridge. 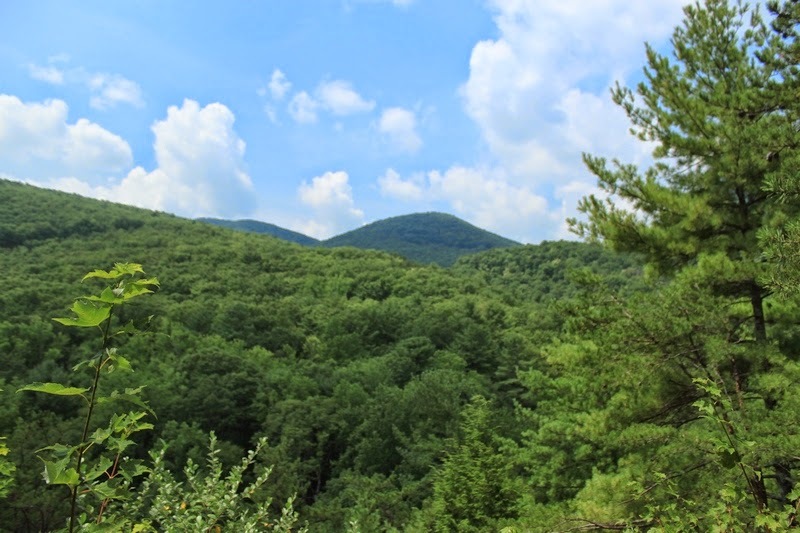 Most of the nearby summits are in the 3,000-foot range. 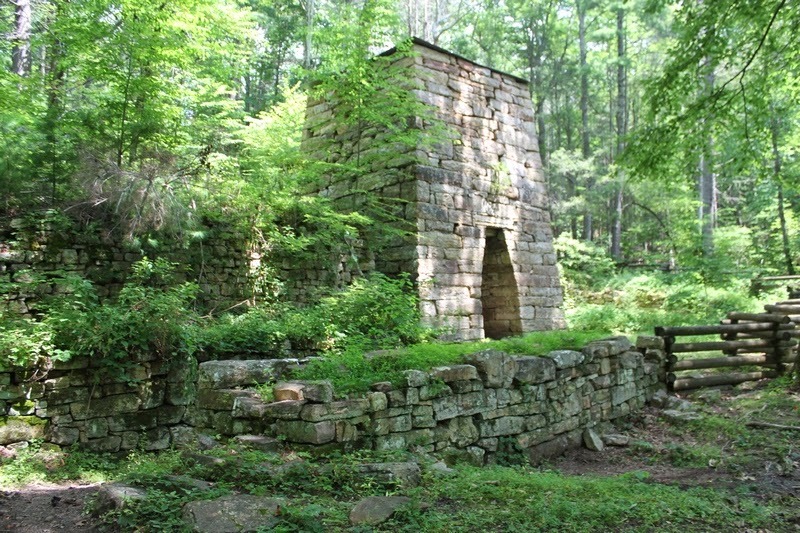 The main reason for the preservation of the area is not the gorge and its waterfalls, but this vast iron furnace. It’s in amazingly good shape with most of the stonework intact. Everywhere you look around this area there are pieces of slag–greenish, very light material almost like glass. We picked some of it up. 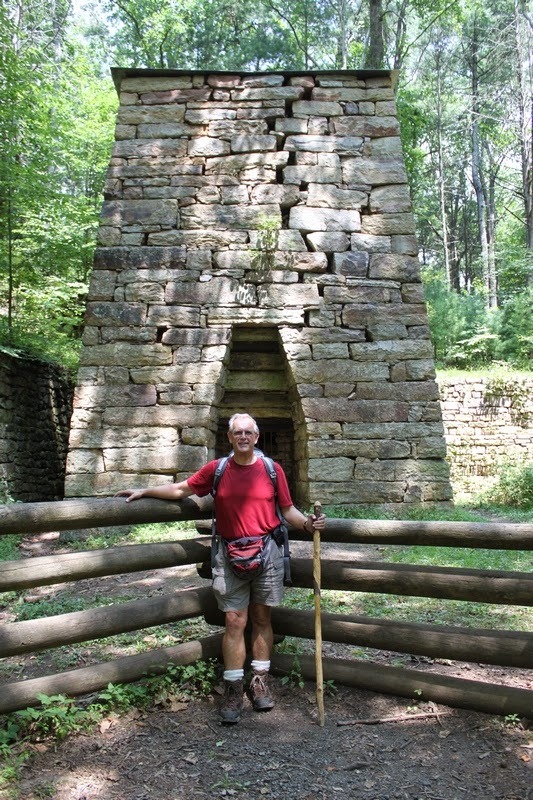 Carole snapped this one of me in front of the furnace. A nice illustration of what the furnace looked like when it was in operation. 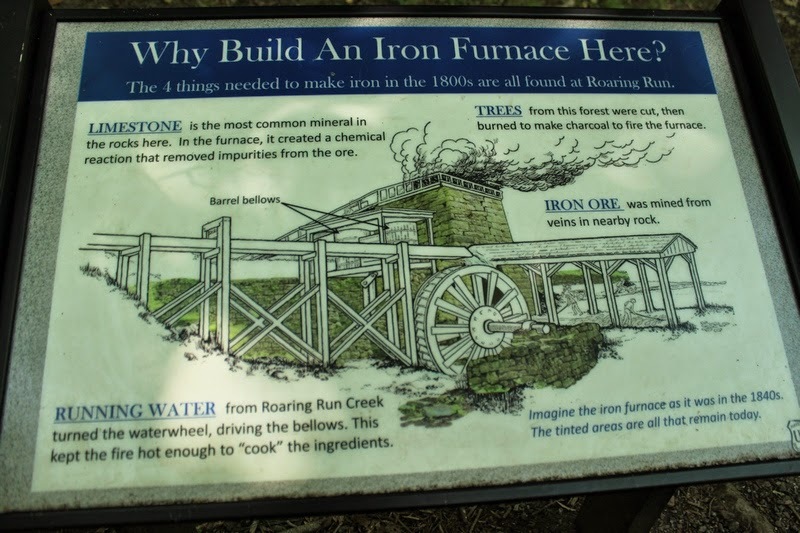 Everything they needed to produce pig iron was available at the site or from very nearby: iron ore, water (to power the wheel), wood, and limestone. 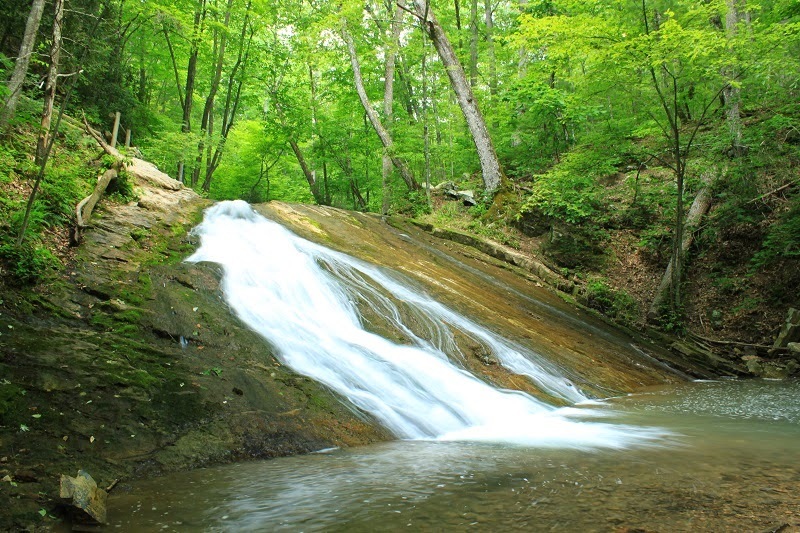 The water in the creek has a light greenish tinge from limestone suspended in solution. A parting shot of the furnace complex as we walked on. 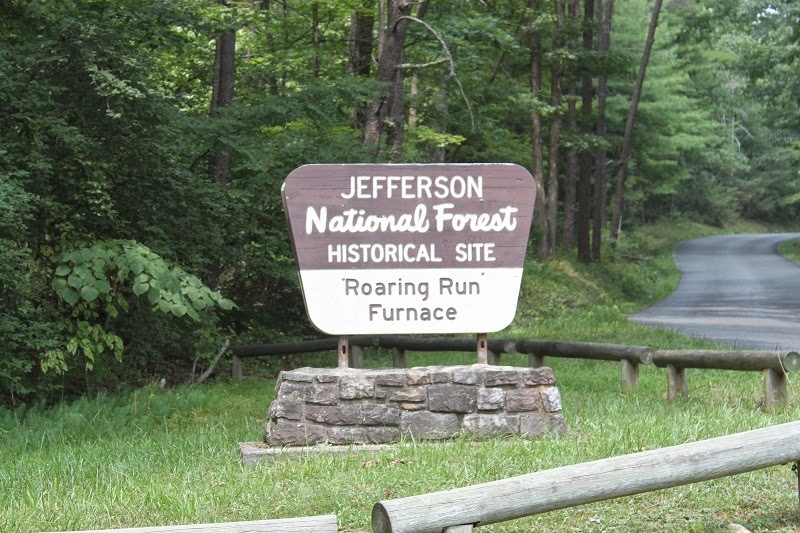 The National Forest sign to mark the roadside parking lot and access to the furnace and the trail system.